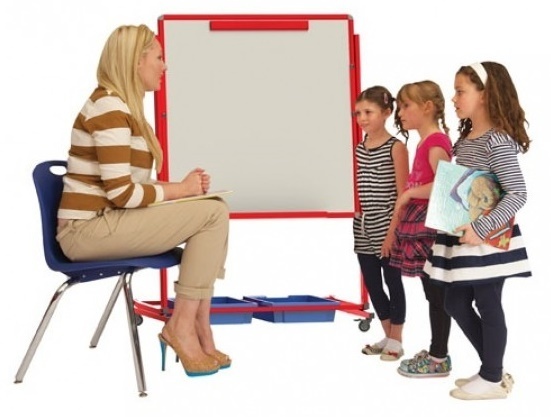 Mobile whiteboard ideal for classroom use - features a heavy duty metal frame for extra stability and available in either Red or Grey colour options. Sits on four castors with two locking for security. Includes two Gratnell trays seated between the frame for extra storage.